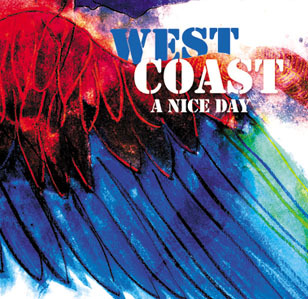 Le présent CD est le troisième paru dans la même collection et traitant de ce courant "West Coast Jazz". La sélection qui nous est offerte couvre surtout l'année 1955, sans doute le temps des plus belles réussites. 2.Tenors West03:17 (Marty Paich) Jimmy Giuffre with The Marty Paich Octet : Conte Candoli (tp), Bob Enevoldsen (vttb, ts), Harry Klee, Bob Cooper (ts), Jack Dulong (bar), Marty Paich (p), Joe Mondragon (b), Art Mardigan (d). 3.I know, Don't Know How05:25 (Gerry Mulligan) The Gerry Mulligan Sextet : John Eardley (tp), Bob Brookmeyer (vtb), Zoot Sims (ts), Gerry Mulligan (bar), Red Mitchell (b), Larry Bunker (d). 4.Windswept02:24 (Leith Stevens) The Leith Stevens All Stars : Shorty Rogers (tp), Milt Bernhart (tb), Bud Shank (fl, as, ar), Bob Cooper (ts), Jimmy Giuffre (cl, ts, bar), Russ Freeman (p), Carson Smith (b), Shelly Manne (d), Leith Stevens (arr). 5.Speak Low02:41 (Kurt Weill - Ogden Nash) The Barney Kessel Quintet : bob Cooper (oboe), Claude Williamson (p), Barney Kessel (g), Monte Budwig (b), Shelly Manne (d), . 6.Easy Living04:12 (Ralph Rainger- Leo Robin - Ralph Rainger- Leo Robin) The John Lewis & Bill Perkins Quintet : Bill Perkins (ts), John Lewis (p), Jim Hall (g), Percy Heath (b), Chico Hamilton (d). 7.Summer Night03:16 (Harry Warren - Al Dubin) Shelly Manne and His Men : Bob Enevoldsen (vtb), Joe Maini (as), Bill Holman (ts), Jimmy Giuffre (bar), Russ Freeman (p), Ralph Pena (b), Shelly Manne (d), Marty Paich (arr). 8.Moonlight In Vermont02:57 (John Blackburn - Karl Suessdorf) The Frank Rosolino Quintet : Frank Rosolino (tb), Charlie Mriano (as), Walter Norris (p), Max Bennet (b), Stan Levey (d). 9.If I Should Lose You02:47 (Ralph Rainger- Leo Robin - Ralph Rainger- Leo Robin) The Howard Rumsey's Lighthouse All Stars : Conte Candoli 'tp), Claude Williamson (p), Howard Rumsey (b), Stan Levey (d). 10.A Sinner Kissed An Angel03:16 (Mack David - Larry Shayne) The Bud Shank - Bill Perkins Quintet : Bud Shank (as), Bill Perkins (ts), Hampton Hawes (p), Mel Lewis (d). 11.Table Cloth Stomp02:55 (Bobby Scott - Bobby Scott) The Bobby Scott Septet : Conte Candoli (tp), Frank Rosolino (tb), Charlie Mariano (as), Bill Holman (ts), Bobby Scott (p), Max Bennett (b), Stan Levey (d). 12.A Nice Day02:50 (Buddy Collette - Buddy Collette) The Chico Hamilton Quintet : Buddy Collette (cl), Fred Katz (cello), Jim Hall (g), Carson Smith (b), Chico Hamilton (d). 13.I'm Glad There Is You04:13 (Jimmy Dorsey- Paul Medeira - Jimmy Dorsey- Paul Medeira) Stan Kenton and His Orchestra : Ed Leddy, Sam Noto, Lee Katzman, Vinnie Tano, Phil Gilbert (tp), Bob Fitzpatrick, Carl Fontana, Kent Larsen (tb), Don Kelly (b-tb), Irving Rosenthal, Fred Fox (fhr), Jay McAllister (tu), Lennie Niehaus (as), Bill Perkins, Spencer Sinatra (ts), Jack Nimitz (bar), Stan Kenton (p, arr), Ralph Blaze (g), Curtis Counce (b), Mel Lewis (d), Joe Coccia (arr). 14.Little Girl04:15 (M. Hyde- F. Henry - M. Hyde- F. Henry) The Chet Baker / Art Pepper Sextet : Chet Baker (tp), Art Pepper (as), Richie Kamuca (ts), Pete Jolly (p), Leroy Vinnegar (b), Stan Levey (d) . 15.Isn't It Romantic03:13 (Lorenz Hart - Richard Rodgers) The Howard Rumsey‚Äôs Lighthouse All Stars : Claude Williamson (p), Howard Rumsey (b), Stan Levey (d). 16.The Morning After02:06 (Chico Hamilton - Chico Hamilton) Same as 12, add Jim Hall (arr) . 17.What Is Here To Say?03:37 (E.Y. Harburg - Vernon Duke) The Jack Sheldon Quartet : Jack Sheldon (tp), Walter Norris (p), Bob Whitlock (b), Larance Marable (d). 18.Pink Squirrel03:20 (ShortyRogers) Shorty Rogers And His Orchestra : Shorty Rogers, Conte Candoli, Pete Candoli, Harry ¬´ Sweets ¬ª Edison, Maynard Ferguson (tp), Bob Enevoldsen, Milt Bernhart, Frank Rosolino, George Roberts (tb), John Graas (fhr), Paul Sarmento (tu), Charlie Mariano , Art Pepper (as), Bill Holman, Jack Montrose (ts), Jimmy Giuffre (bar), Lou Levy (p), Ralph Pena (b), Stan Levey (d). 19.The Nearness Of You05:20 (Hoagy Carmichael- Ned Washington) Frank Morgan (as), Carl Perkins (p), Howard Roberts (g), Leroy Vinnegar (b), Larance Marable (d).